You already knew that, though. If you’ve been in the content marketing industry for any amount of time, you’ve heard this statement. Content marketing is an abyss, a black hole that we fall into every day because we’re trying to build a congregation and a fellowship of readers. We already know that content is king. We serve it everyday. We are the serfs to this master because true content brings us everything we want… if we do it correctly. What it means is that if we create content that people need or desire, we’re going to build a loyal community around our brand, which leads us to why content is king. We’ve heard all of these. Content writers have regurgitated these sayings until they’re blue in the face, until they can’t possibly write another thing about it (thank God). However, there is another statement that also rings true to this theorem: If content is king, which it is, and community is the kingdom of content, then relationship marketing is the Ace . Relationship marketing is the glue that holds the content to the community, and there is a missing piece in your strategy if you’re not building solid relationships with people in your industry. While this is not an article to discourage you from writing the best content you possibly can, I am suggesting that without relationships, your content isn’t going to go very far. Having a viral social media share in the social world we live in is like having an atomic bomb dropped in your lap. The chances it will happen are slim to none, but if it ever does, you’re going to feel it. However, your chances at having your content distributed—nay, blasted—to the social web are going to be more productive with those relationships you build. The social web is now streamlined through the building of relationships among people with like-minded ideas, niches, and concepts. Since it is becoming harder and harder to “game” the search engines, there is another idea that is catching on like wildfire: an idea of collaboration. A new content writer in this industry will find it tough to get their articles noticed on the web at first and may even find it a little frustrating. No matter how hard they scream, no one is listening. Why? Because no one knows them yet. There are a lot of reasons you want to build these relationships. For the most part, people will build them because relationships help their business. But if you’re only out to build relationships to make your business succeed, you won’t go very far. People will only allow you so far into their lives if they think there is an underlying reason behind the relationship. I got crammed about simple writing techniques in my last post here on Convince & Convert, but I still stick by them. Sometimes, it’s the simple things we forget about that work the best. There’s no secret formula for getting your content out there. It takes hard work and lots of effort, most of which comes from building a solid foundation of relationships with your peers. Content is what will peak their desire, and with that you can graduate the reader from their desires to seeing what they need from you. You can use this to your advantage with the relationships you create online. The relationships you will build in the future will fuel that fire of content that Jay Baer talks about. I realize that content is the fire, and social media is the gasoline, per the quote, but social media can only be the gasoline when you have built a good base of wood (relationships) that will keep the fire burning continually. When you build a fire, you don’t start out with the biggest pieces of wood. The first thing you do is get kindling—the small bits that will catch faster. While that doesn’t make a large fire, it does allow you to add bigger pieces around it. After a while, you have a large blaze going that started from one little piece of kindling. If someone in your niche is doing something similar to what you are doing, don’t shun them just because they’re not an influencer. Plenty of these kinds of relationships will allow you to start that fire in your relationship marketing that your brand needs to be visible in the future. When you build relationships with people, you start to understand your readers’ desires and needs. Granted, these are two different things, and no one really needs to follow you on social media. They follow you because you fulfill a desire, and because they want to. Your posts are funny, informative, or help them in some way. This is the emotion you want to adhere to when building a ministry with your brand. You want to cater to the desire in your readers. While we like to think of ourselves as logical people, the reality is that we’re more likely to respond to anything that triggers an emotional response. When you understand your audience, you understand this simple fact as well. While you can post and promote your content until the cows come home, you have to think about the reader and what they will be getting out of it when it comes across their stream. That connection is the basis of building a relationship foundation that keeps growing over time. 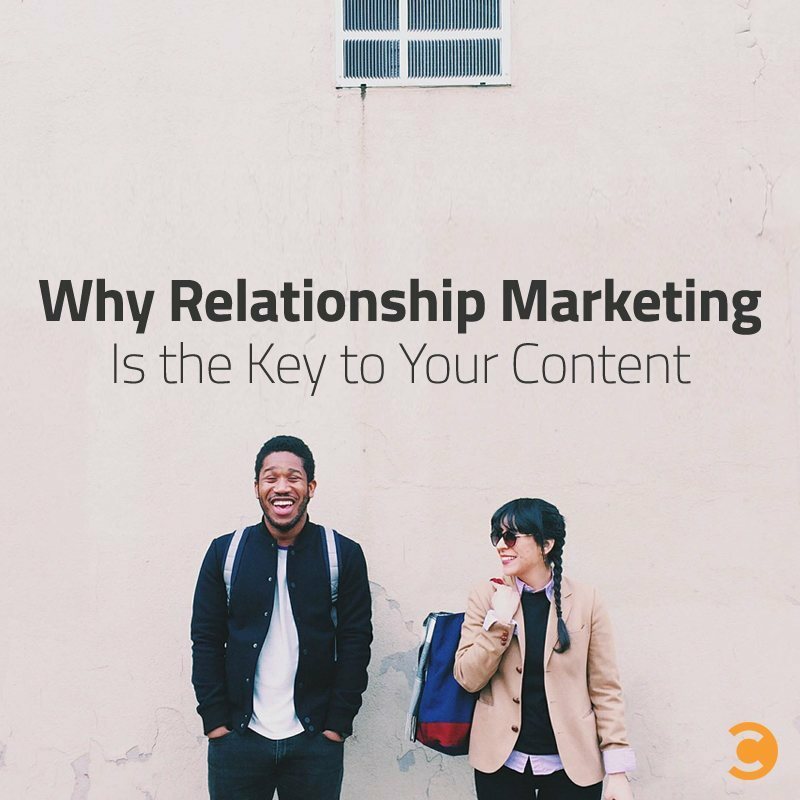 Relationship marketing is the glue that holds everything together for your business, and it’s imperative that you understand what your reader wants, so you can connect them with your content every week. In doing this, you have to make yourself available. You have to get down and dirty in the conversations that your target audience is having. It’s more about listening than talking at this point. When you listen, you get nuggets of information you can pass along to your Evernote, or wherever it is you write, so you can extract the gold from it later. People want actionable content that helps them achieve their goals. They want to be able to take your content and put it to good use. In order to make that connection, you have to get to know the people. Content is the king, it lives in a kingdom of community, and if I had to make more playing card references, I would say that social media is the Queen that builds up the content. But after four years of doing this, one thing I have learned for certain is that relationship marketing rules the roost. It is the top card and one that you will always want to have in your deck of strategies. Take some time everyday to communicate and engage with people, let them understand your message, and let them become close to you. In doing this, you will eventually be invited to become close to them. It’s about helping and servitude. Don’t expect the seed of relationships to blossom overnight. Your content and kingdom will have to wait. But when you do put all of your energy into building these relationships, you will start to see the kingdom of your content and brand message grow and grow.